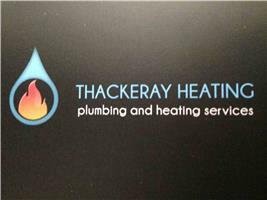 Thackeray Heating Ltd - Central Heating Engineer, Plumber based in Melton, Suffolk. I have worked in the plumbing and heating industry since 2006. I studied for four years at Suffolk college whilst working as an apprentice with a local plumbing and heating firm gaining my level two and three qualification in plumbing and heating, as well as my gas safe qualification. I was awarded apprentice of the year. I started working for myself In 2010, I have an apprentice of my own who is currently half way through his third year at college and is progressing very well through work and college. This now means I am ready to take on another school leaver in September. I pride my company on being very neat and tidy in everything we do, the only way I can guarantee this is to train my staff from the beginning. This way I feel I can mould them into my idea of the perfect engineers.